Dean Close School's idyllic outdoor venue, The Tuckwell Amphitheatre has established itself as the premiere location to enjoy exciting theatre, not least open-air Shakespeare productions. The festival team have hand-picked another selection of sizzling Shakespeare: Twelfth Night, The Taming of the Shrew and A Midsummer Night's Dream. On 19th July Cheltenham will play host to Folksy Theatre's Twelfth Night, in which two twin siblings, Viola and Sebastian, are separated in a shipwreck. Viola takes on the appearance of a man to be accepted to work in Duke Orsino's household and then the fun really begins! Twelfth Night is a play about mistaken identities, about love and the madness it can drive us to. Filled with Folksy's touch of live music, bold characters and audience interaction, this will be the perfect start to the summer. On 26th July you are invited to Heartbreak Productions' 1928 Fete of Misrule to enjoy a playful outdoor adaptation of Shakespeare's unlikely love story; The Taming of the Shrew. Everyone wants to marry Bianca, Kate's younger sister but Kate must be married first and no suitor can be found. Enter Petruchio, a gamester on the make who surprises them both with the most unconventional courtship in English literature. A controversial, passionate and tender story of sexual politics brought to life with Heartbreak's hallmark live music, humour and audience interaction. 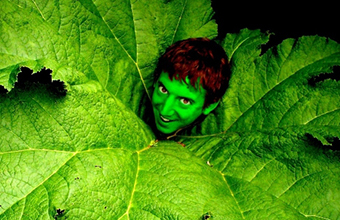 On 3rd August festival favourites The Pantaloons Theatre Company return with Shakespeare's most iconic comedy, A Midsummer Night's Dream. Midsummer night. An enchanted forest. Puck and his musical fairy band told a tale of lovers, mechanicals, and magical mayhem. This critically-acclaimed theatre company tell the Bard's timeless comic tale in their own distinctive and anarchic style. the Celtic Manor Resort, Newport on the 24th of May 2017.
prestigious venue has been awarded this title. large variety of products and services. the title of a leading MICE industry and business focused event across the UK. breakfast. To be included in the prize draw, simply drop your business card off at registration! the UK, this is an opportunity that you simply can't afford to miss. 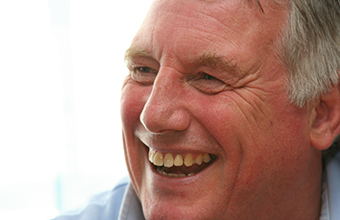 After 26 years at the helm of Parallel Blue, the live communication and events agency, John Denton has decided it's time to step down as Managing Director and head off to a well-earned retirement. Paul Martin, currently Business Development Director, will take over as Managing Director with immediate effect and will be responsible for the company's ambitious ongoing growth strategy. New Managing Director Paul Martin has over 15 years' experience in the events business both within the corporate sector and on the agency side. He has been with Parallel Blue for the last 3 and a half years as Business Development Director. 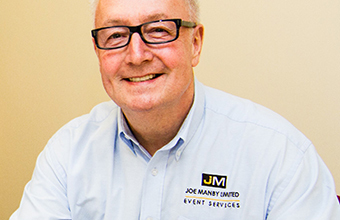 Paul said 'We are very sorry to see John go; his customer centric approach, combined with his experience and expertise in all things events have been the bedrock for Parallel Blue's success over the years. He leaves us with a strong client base and an ever-expanding pipe line of new business opportunities and I am looking forward to leading the growth of Parallel Blue as an events agency with clients' needs at the heart of everything we do. The Harrogate-based company will provide integrated event services to the PLSA's Investment Conference being staged at the Edinburgh International Conference Centre and the Local Authority Conference in Cirencester as well as the Annual Conference and Exhibition at Manchester Central in October. agencies, PCO's, corporate firms, associations and exhibition/event organisers. Celtic Manor on the 24-25th of May 2017.
impressive Venue Expo co-located with PA Expo. 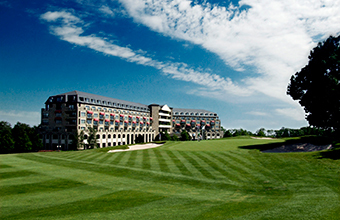 we continue to support the Celtic Manor Resort with their new developments. directly relating to the MICE industry. 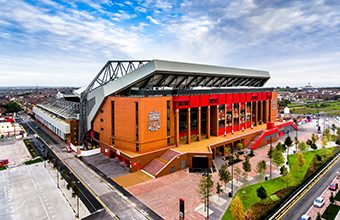 'We are all very excited as it's an incredible time for the Venue & PA Expo. Venue Expo Top Of The League After Securing Some Of The Biggest Names In Football With 3 weeks to go - it couldn't look brighter! Sheffield UTD as recent exhibitors for this years show. Rezidor and Castle Collection to household brands such as LUSH and Deliveroo. exhibitions will be top class in content'. position itself as the leading MICE event in the North of England..
2016. Doors open 10am and entrance to the exhibition and seminars is completely FREE. 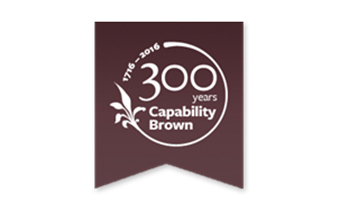 The Capability Brown Festival 2016 has already seen a huge range of events celebrating the life and times of Lancelot 'Capability' Brown, from baking competitions to music festivals. This autumn, the latest in the string of these celebratory events includes a stunning light commission at one of Brown's hidden gems, Compton Verney, to walks across Brown's parklands through the falling autumnal leaves and indoor exhibitions showcasing archive material and paintings for when the trees are laid bare. Compton Verney (Warwickshire), is lighting the way with their autumnal spectacular event, IN LIGHT: Illuminating Capability Brown's Landscape. This exhibition will use ground-breaking technology uniquely created for Compton Verney, whereby visitors will be able to admire Brown's chapel (which has been recently renovated), bridge, and the 18th century mansion, as these magnificent pieces of architecture will be lit in vibrant ways. This two-week light display, which also includes elements of interactive input from members of the public, will also see solar jar artwork within the themes of water and leaves, light drawing and a variety of food (including lit-up candy floss) for all the family to enjoy. Brown, referred to as England's most famous gardener, is associated with around 250 landscapes across England and Wales, including the well-known estates of Blenheim Palace (Oxfordshire), Harewood (Yorkshire) and Chatsworth (Derbyshire) and to hidden gems such as his birthplace of Kirkharle (Northumberland) and his burial place of Fenstanton (Cambridgeshire). Brown also had a glamourous client list included King George III, six Prime Ministers and half of the House of Lords. Venue Expo 2016 can without a doubt claim it's finest year of education to date after securing some of the best keynote speakers in the country and is set to deliver it's largest exhibition to date. 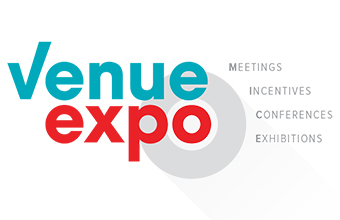 Venue Expo co-located with PA Expo will be bringing CPD accredited courses, networking sessions from some of the North's finest institutions alongside a wide range of industry leaders. Included in this years education will be seminars and talks from the likes of people such as Jon Morter, the social media magnate behind the Rage Against The Machine to Christmas number 1 campaign, beating music mogul Simon Cowell's X Factor twice and Hillsborough Tribute Single campaign who will be explaining the secrets behind his successes whilst also giving unprecedented access into how to fully utilise your social media. 'Alongside Jon, we have talks from some of the country's most pre-eminent speakers, these include talks from the likes of Susan Dolan, a google expert with over 20 years experience, Major Jon Cunningham MBE, a fundamental figure in the liberation of Basrah and now owner of STORM consultancy who will be delivering an in-depth look into the protection of venues across the country' comments Brett Bienias, President of UKFE. 'We've made sure not to leave PA Expo out, confirming Adam Fidler, a PA guru with years of experience within blue chip organisations such as The Bank Of America & Boots. He will be featuring at PA Expo alongside a live panel from PA Life magazine and Pitmans Training 'Entrepeneur Of The Year' Julie Jordan, it's safe to say we've never been prouder of the range of seminars, workshops and masterclasses on display this year.' Brett concludes. 1 This year, for the first time, WTM London 2016 will be a three day event, taking place on Monday 7th, Tuesday 8th and Wednesday 9th November, with extended opening hours from 10am to 7pm. This means that even more business than last year (record $3.23 billion, or Â£2.5 billion) will be conducted. 3 More than 80 conference seminars will take place throughout the three days, covering all key sectors, including aviation, hotels, sports, tourism, responsible tourism, blogging, social media, and travel technology. 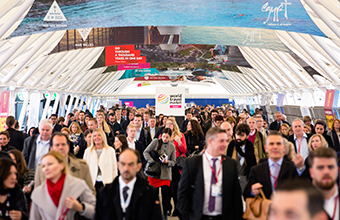 More than 18,000 attendees are expected at the conference sessions, including 9,000 unique delegates, and more than 38 travel industry sectors represented at WTM London. Don't miss out on the WTM Presents Keynotes, with tourism expert Doug Lansky and futurist Brain Solis. 4 Discover the latest worldwide travel and tourism industry data, statistics, and trends from the leading research organisations Euromonitor International, Mintel, and Nielsen. Mintel's session will cover the impact and opportunities of Brexit on the UK travel market. 5 On Monday, the event kicks off with the WTM Speed Networking on the Global Stage, bringing 1,400 exhibitors and more than 200 business senior buyers together over one session. It will help to broker connections and business opportunities between buyers and exhibitors before the exhibition floor opens. 6 The two pillars of the WTM London 2016, World Responsible Tourism Day and the prestigious UNWTO & WTM MINISTERS' SUMMIT will both celebrate their tenth editions this year. WRTD will take place on the new day of Tuesday 8th November, putting the industry's sustainability at the heart of the event. The UNWTO & WTM Ministers' Summit will take place on Wednesday 9th November, and will focus on many tourism issues, including safety and security challenges. 7 The Travel Tech Show at WTM is the UK's largest travel technology event, and the fastest growing region at WTM London. The show brings together the latest products and services in technology to the global travel industry. This year, the event has already confirmed high-profile names from the technology and travel industry, including Pegasus Solutions, DerbySoft, and Open Destinations. In 2015, more than 55,000 meetings took place in the Travel Tech Show at WTM London. 8 WTM London's parent company, Reed Exhibitions, has signed a global agreement with hotel booking website HotelMap to give delegates attending any of its travel events access to state-of-the-art hotel booking. The deal starts with bookings for WTM London. 9 A taste of the ILTM - International Luxury Travel Market - a portfolio of global, regional and specialist luxury travel events returns for the fifth year across the Monday and Tuesday, connecting international luxury suppliers with key luxury buyers. On the Wednesday, the WTM Wellness Lounge will maximise connection opportunities between wellness exhibitors and wellness buyers, to facilitate business deals in the comfort of the dedicated lounge. Designed as the hub for spa and wellness travel professionals, the lounge highlights the growing representation and importance of the Wellness Tourism sector at WTM. 10 WTM London will conclude with the popular WTM Festivals. A number of exhibitors will host parties showcasing their culture, music and cuisine. The festivals give everyone the opportunity to socialise after the traditional working hours in a fun and vibrant atmosphere. Don't Miss Out! Discover the magic of Shakespeare's England in 2017! Discover Shakespeare's England in 2017 and enjoy a host of exciting events and activities for all the family. See four of Shakespeare's great political thrillers by the Royal Shakespeare Company, have a go at wake-boarding at a new purpose built track, wander around new exhibitions and take part in a variety of festivals. Make 2017 the year you discover the magic of Shakespeare's England. The Royal Shakespeare Company marks 2000 years since the death of Ovid, announcing their new season of Shakespeare's four political thrillers set in and around ancient Rome. Julius Caesar runs from 3 March to 9 September, Antony & Cleopatra, runs from 11 March to 7 September, Titus Andronicus, runs from 23 June to 2 September and Coriolanus, concludes the season. The season is accompanied by a new free exhibition from March to September looking at 200 years of British political cartoons inspired by Shakespeare. In the Swan Theatre the RSC presents a new version of the Chinese drama, Snow in Midsummer; the world premieres of new plays by Richard Bean, The Hypocrite, and Vice Versa by Phil Porter; Oscar Wilde's Salomè; and Christopher Marlowe's Dido, Queen of Carthage. 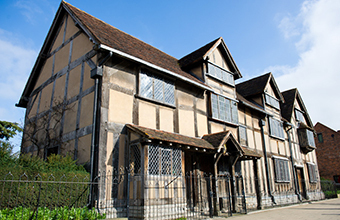 The Shakespeare Birthplace Trust will celebrate their 170th anniversary on 16 September when it was formed in 1847 following the purchase of Shakespeare's Birthplace. Discover how Charles Dickens spearheaded the campaign to save the Birthplace in this temporary exhibition. A new exhibition will take place at Hall's Croft in March to explore Jacobean medicine in relation to working practises of Dr. John Hall. To coincide with the UK - India Year of Culture, SBT will present 'Shakespeare in South Asia' from May - September celebrating Shakespeare's influence in South Asia. The Shakespeare Film Festival takes place in September with film screenings to appeal to all audiences. 'Shakespeare Week' runs from 20 - 27 March to celebrate Shakespeare in primary schools and the 64th Stratford-upon-Avon Poetry Festival runs from 11 - 18 June with a line-up of readings, performances and workshops, mixing the talents of poets with actors and musicians. Visitors are invited to celebrate the first anniversary of Shakespeare's Schoolroom & Guildhall, which opened its doors on 23 April, exactly 400 years after the death of its former pupil, William Shakespeare. The programme will feature a series of events around the April anniversary including special tours, an author event and new family focused activities. Compton Verney will host three major art exhibitions. Starting with Creating the Countryside, a look at how the countryside has influenced painters from 1600 to 2017, then an exhibition examining Optical Art in the summer followed by a celebration of the work of one of the world's most important and best-loved illustrators, Quentin Blake in the autumn. There will also be The Clearing, a project which will create an evolving encampment, including a geodesic dome in the shadow of Compton Verney's mansion house, where people can come together to learn how to live completely off-grid. Wootton Park opens their new Wakeboard Park in the spring with three lakes. The purpose built facility will have two electric cable winch systems which will pull participants up and down the lakes. There will be a variety of ramps and jumps to suit all abilities. Wootton Park is also expanding their glamping pod business with private hot tubs. The British Motor Museum, following on from it successful refurbishment and re-branding in 2016, will host a major temporary exhibition 'British Motoring Treasures' which will run from Easter. The hugely popular Stratford Festival of Motoring returns for its fourth consecutive year, over the first May Bank holiday. The town centre streets will throb with the sound of over 300 high performance motors and classic cars. The award winning Stratford River Festival returns to the banks of the River Avon over the first weekend.in July. It is the largest family friendly free event held in Stratford with over 70,000 visitors expected to enjoy events on and off the river, market stalls and entertainment. The Stratford Food Festival is planned to take place from 22 - 24 September with over 100 stalls across 3 town centre areas. The Market Hall Museum in Warwick will re-open in February following a major renovation and upgrade over the past 18 months. The Kenilworth Show takes place on 10 June featuring a fun filled, action packed day out for the whole family. The Peace Festival takes place in Leamington Spa in July along with the Thai, Beer, Folk and Ukele Festivals in Warwick. The National Bowls Championships in Leamington takes place in August for a month as teams from across the country compete. Entry is free every day. Batsford Arboretum will open a new outdoor children's play area in the spring. The play area will feature a mini adventure playground with wooden climbing frames. Warwick Race-Couse, one of the oldest in the country, has renovated its bars and made improvements to its track. Race-goers can kick the season off with some thrilling horse- racing on 14 January with the Betfred Classic Chase Day. Playbox Theatre's theme for 2016/17 is 'extraordinary journeys' which is inspired by the writer Jules Verne. The programme includes new writing, original creations, re-imagined classics and a unique strand of work for young children in a year-long festival to be based at The Dream Factory in Warwick. Orchestra of the Swan celebrates its 21st season in 2016/17 bringing together worldwide talents from the youngest ever BBC Young Musician winner Jennifer Pike to the world renowned cellist and conductor Julian Lloyd Webber. OOTS will also tour New York for a concert at the Carnegie Hall on 26 February. After a Â£250,000 renovation in 2016, new toilet facilities will open at Stratford Butterfly Farm. The Maya, an ancient rainforest civilisation, is now on display at the Butterfly Farm which is one of only a few resources available in the UK to schools studying the Maya as part of the National Curriculum. Shakespeare's Sisters Soap will host three new workshops on Aromatic Distilling, Traditional Cold Process Soap Making and Elizabethan Perfume Making. Contemporary Arts Fair Discover:Gather:Give will be held on 3, 4 & 5 November at Stratford-upon-Avon Town Hall showcasing the best local and regional artists. Warwickshire Open Studios will run three events, the first being a new Artist's Car Boot Fair in late January. The Annual Spring Exhibition takes place at Easter and the Open Studios event, which takes place across 250 venues over 2 weeks and 3 weekends, is held in June and July. The Old Slaughterhouse will launch its new Heritage project The Lost Garden of Avon, exploring the gardens that were once within the site. The venue will offer an innovative arts trail complemented by a new digital storytelling website. Exhibitions will include Yesterday & Today, featuring photography of Stratford's townscape with future exhibitions exploring Stratford's Toll House and riverside industry, Marie Corelli, one of Stratford's best loved Patrons and Stratford Rail Heritage. Stratford Literary Festival will celebrate its 10th birthday from 23 - 30 April, with a week in schools from 27 - 31 March. The Festival will offer a choice of events for thousands of adults and children, confirming its place as one of the UK's most exciting festivals. The Battle Proms will return to Ragley Hall on 12 August for an evening of music paired with spectacular aerial, cavalry, cannon and firework displays. The Battle Proms concerts remain the only place in the world where you can see Beethoven's 'Battle Symphony' performed with 193 live firing Napoleonic cannon providing a thunderous percussion. Leamington Spa Art Gallery will host an exhibition 'Dictionary of Silences' by Colin Hitchmough until 8 January. Colin returns to Leamington to showcase new works and key pieces from the 1970s to the present day. Ruby Wax, the US born comedian, actor and writer will perform at the Royal Spa Centre on 17 February. Bicester Village will be offering pop-up boutiques, seasonal entertainment, and food pop- ups. In December 2016 Chiltern Railways will celebrate the extension of the current London Marylebone to Oxford Parkway railway line which will run directly into Oxford city centre. This will improve travel links between Bicester Village and the centre of Oxford, as guests can arrive by train from the city for the first time.